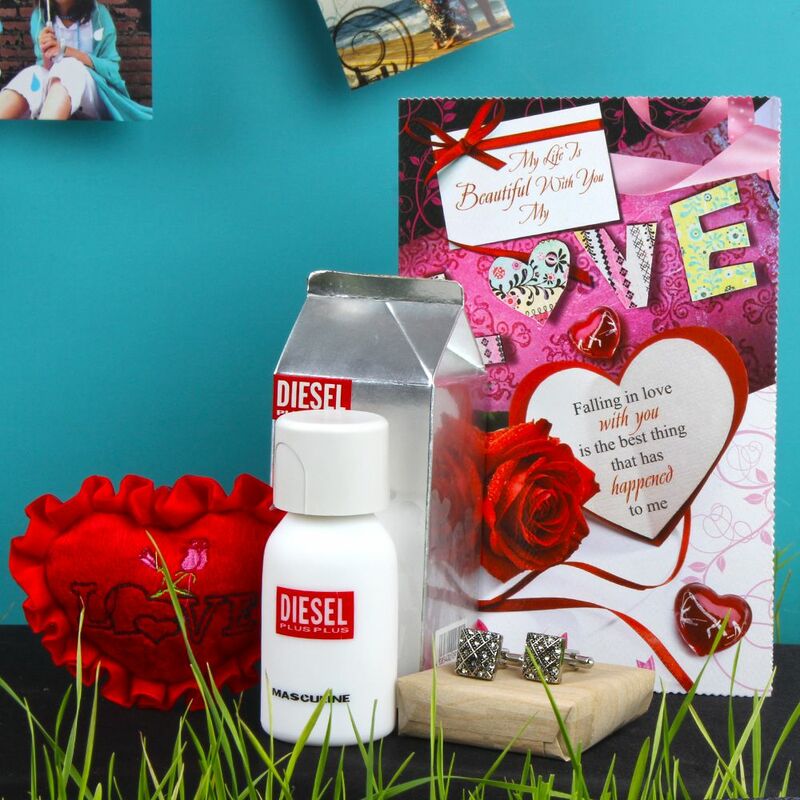 Product Consists : Diesel Plus Plus Masculine Perfume (Weight : 75 Ml), Small Red Heart, Love Greeting Card, Square Shape Matte Silver Color Matrix Cufflinks Set along with Box. 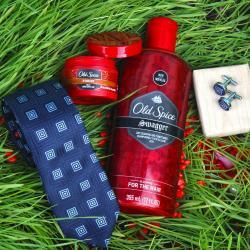 This awesome gift combo is bound to touch your lovers heart with warmth of your love. 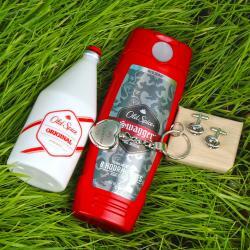 It is very hard to express love without words so tell your darling to read your eyes without seen you with this Valentine Gift Combo for Him gift hamper so it is a time to feel memorable moments without your presence. 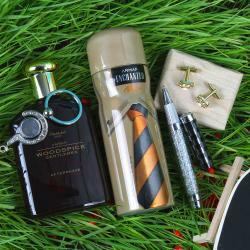 This makes a perfect gift choice for all the fashionable Men that you know. Giftacrossindia.com has handpicked and put together this amazing gift hamper for you to make celebrations memorable for the special ones in your life. Sweet way to make your handsome partner to smile at silly tiny gifts and delighted feelings and to see the glow of eyes for each surprises.....just love and be loved. It is the Perfect Gift. So, express your feelings for someone you love on special days like Valentine's Day, Birthday, Anniversary and Many more. This hamper can be a perfect gift for men on any special occasion or festival like Valentine's Day, Birthday, Anniversary and Many more. Browse your favorite products, it is very conveniently available for online shopping from anywhere in India with Free Shipping. 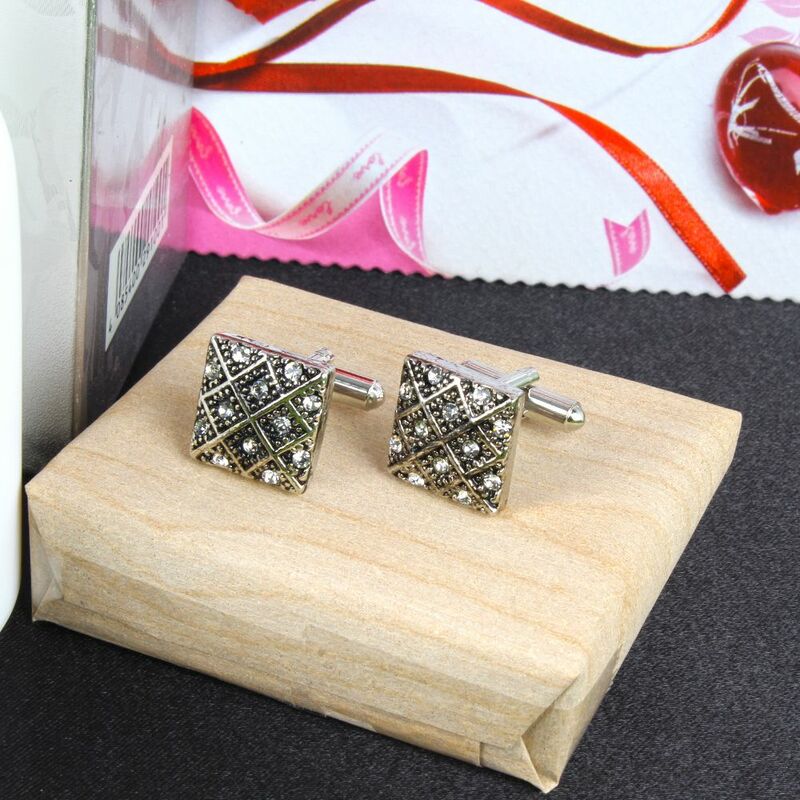 Product Includes : Diesel Plus Plus Masculine Perfume (Weight : 75 Ml), Small Red Heart, Love Greeting Card, Square Shape Matte Silver Color Matrix Cufflinks Set along with Box.